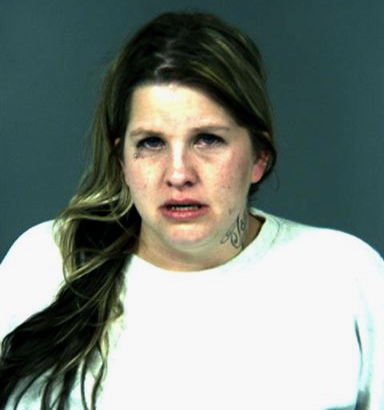 Brooke Hames entered guilty pleas today in the Humboldt County Superior Court to Vehicular Manslaughter While Intoxicated in violation of PC 191.5(a), Driving Under the Influence resulting in Great Bodily Injury, and Fleeing the Scene of the Crime. She will serve 85% of a 14 year prison sentence and receive no credit for her time awaiting trial local custody. The case involved a traffic stop initiated by the Eureka Police Department on April 30, 2012. Hames attempted to elude the officer and crashed into another automobile killing Danielle Weaver and seriously injuring John Chisholm. After the crash Hames attempted to leave the scene but was immediately apprehended by CHP at the scene. “Hames was initially charged with 2nd degree homicide in part because of statements she made at the scene. She indicated she was on felony probation for driving under the influence. No such conviction was reflected on her California criminal history, so there was the possibility that this was a recent conviction from another State or another county and her RAP sheet did not yet reflect that conviction. As it turned out, that was not true. She had no prior DUI convictions. Hames had recently been arrested for a first offense DUI and was awaiting arraignment on that misdemeanor offense” stated Kelly Neel, Assistant District Attorney. Elan Firpo was the handing Deputy District Attorney, “This is a tragic case, and nothing the judicial system can do will restore the family or truly bring them comfort. This plea agreement protects the family of Danielle Weaver from having to relive the tragedy through a jury trial, but also requires Ms. Hames to spend a substantial amount of time in prison. Hames pleaded guilty to what we would have been required to prove at trial. This plea agreement is nearly the maximum time of incarceration Ms. Hames would have been sentenced to if we had won the jury trial.” Elan Firpo. This entry was posted on Thursday, July 19th, 2012 at 6:01 pm	and is filed under News. You can follow any responses to this entry through the RSS 2.0 feed.